Have elders been pestering you to sign up for health insurance in your state’s Obamacare marketplace? Of course, they are looking out the post-26 young’uns in their life. (Psst, pre-26? Ask the rents about joining their insurance plan!) But elders are also looking out for their own bottom line. Otherwise, if only sick people sign up for health insurance, premiums will only go up…up…and up! Not convinced you should sign up? Let me introduce my friend Michelle Obama. Convinced now? 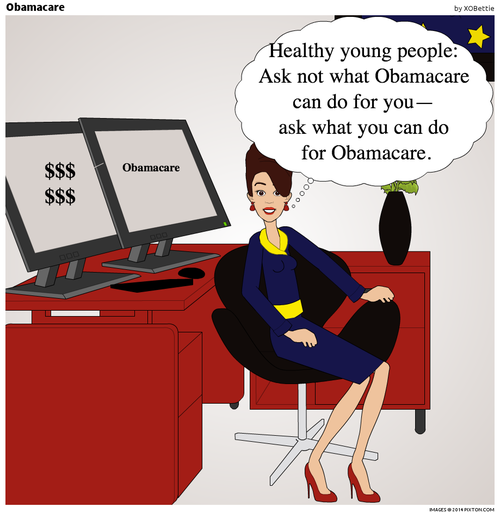 Mosey over to Healthcare.gov. Many young people have signed up already, wowing policy wonks by surpassing the projections.